Modern wars, like those in Syria and Iraq, take place, not on battlefields, but in narrow streets and densely populated cities. Airstrikes on buildings, car bombs in markets, snipers on rooftops – these don’t discriminate between fighter and civilian. Over the 20th century the proportion of civilian casualties in war climbed from 5 per cent to 90 per cent, according to a UNICEF study. Women and children are affected disproportionately, either as direct casualties or as those who become vulnerable when their men are absent and law and order break down. 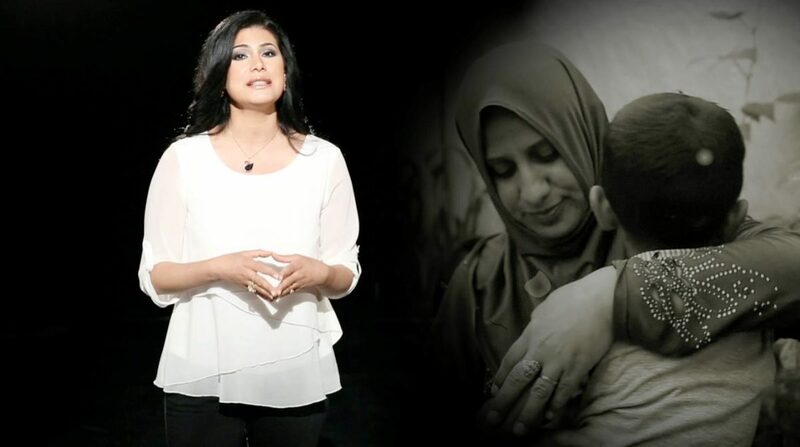 A SAT-7 series, co-produced with Beirut-based Lighthouse Arab World, creates awareness of the experiences of women in wartime, and their central role in holding families together during and after war. Women and Wars highlights the weapons of faith and resilience that enable women to survive and work for peace and new beginnings for their families and communities. While visiting and filming women in their home countries of Syria, Sudan and Iraq, Elia also trained some of them to be able to support other war-affected women in their areas. She explained that the women interviewees confided in her because she showed them compassion and empathy. “We show God, not through our words, but with our presence and compassion. The humane role we express touches them and allows them to open up and share their stories. We are here to carry their burdens to help them so their spiritual life isn’t affected. The women we interviewed told us that sharing their experiences helped them get closer to God and made them feel the need to pray more,” Elia explained. Khalil lost her daughter at the start of the 2003 war in Iraq and moved to Syria for refuge after death threats were sent to their home. Only a few years after settling in Syria, the Syrian war broke out. “My sons always say they want to revenge for their sister but I keep telling them that she is with Jesus. He chose her, we don’t know why but He knows,” Khalil says. 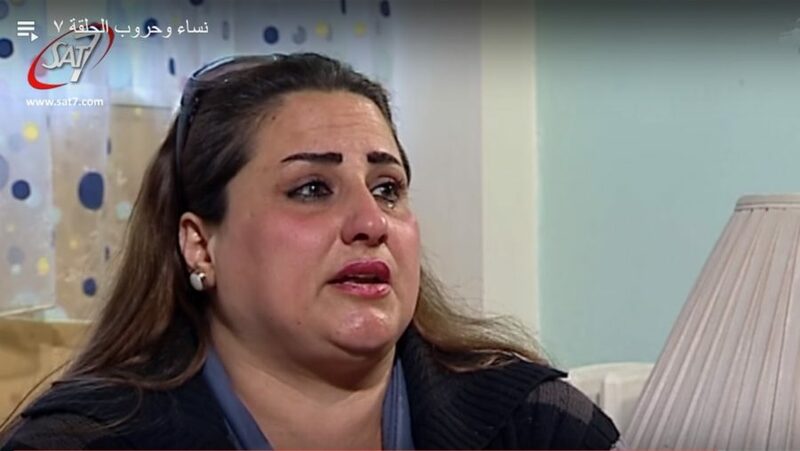 Dalal Hannah from Syria was held at gunpoint while returning to her home with her family. Militias wanted to kidnap them and steal their car but they were saved when friends of theirs came along and convinced the terrorists to let them go and take the car instead. “Some things we can forgive, like everyday offences, but those who planned to destroy our lives are hard to forgive. They intentionally destroyed a life we had been building for years,” Hannah said. for the ministry of social affairs in Lebanon as a health committee coordinator in the government department for childhood. She says that material things lost through war can be replaced but survivors’ physical and psychological health is far harder to recover. “Some of [the women] have lost their husbands during war and to this day they carry the burden of not knowing what happened to them: are they dead? are they still alive? What happened to them? Should they move on? I pray that the women will be reunited with their children and come out of their ordeals with minimal losses,” she said. She is passionate about the goal of the series: These wars are destroying people! If we don’t empower, encourage and make women’s voices in war zones heard, we would be playing a part in destroying their communities. Her hope is that women who are recovering from war “will know they have our support and the support of other women with the same sufferings. They will know they can share their stories and those stories will be documented and heard. In addition to that, I am hoping to establish a new mindset through creating awareness of the fundamental role women play in keeping families together throughout the toughest situations. Find out more about how SAT-7 raises issues and unpacks stories, like those featured in Women and Wars, on our Advocacy page.